Ancient Stardust: In early summer there’s a spectacle to watch on Corsica, says Gianni Krattli. The Milky Way is visible in all its glory in the Mediterranean night sky. In this picture our galaxy stretches across the night sky above the Genoese tower of Lozari – a coastal defence constructed by the Republic of Genoa between 1530 and 1620 to stem the attacks by Barbary pirates. Image: © Gianni Krattli. This spectacular image by Gianni Krattli from France, is just one of this year’s Insight Astronomy Photographer of the Year competition entrants released in a sneak peek by the Royal Observatory Greenwich. If you are interested in submitting pictures, you have until 12pm UK time on 7 April to be in with a chance of winning the £10,000 first prize award. The winning images will be featured in an exhibition at the Royal Observatory which opens on 16 September 2017. Photographers can enter their images online by visiting www.rmg.co.uk/astrophoto, where full competition rules and some top tips on photographing everything from star trails to galaxies and nebulae are also available. A research team has used the NASA/ESA Hubble Space Telescope’s Cosmic Origins Spectrograph to study a body known as BD+44°493, the brightest known second-generation star in the sky. 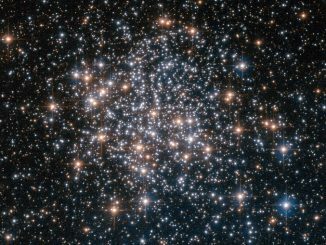 BD+44°493 is thought to have been enriched by elements from one of the first generation of stars and the researchers detected several elements that had never been seen before in such a star. 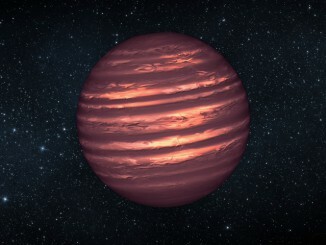 Where are the missing brown dwarfs? Brown dwarfs are objects that are too large to be called planets, yet too small to shine by nuclear fusion. 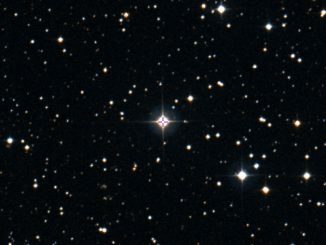 Two German researchers have taken a careful look at the distribution of nearby examples of these “failed stars” and to their surprise discovered a significant asymmetry in their spatial arrangement.